Jack Bruce: "the only decent guy in Led Zeppelin is dead"
Cream's bassist Jack Bruce is continuing to wage a war of words on Jimmy Page and Led Zeppelin. Not content with the controversy he caused by his comments at the Classic Rock Awards, Bruce has now given an interview to Detroit classic rock radio station WCSX, and again criticises Zeppelin for their reunion show at London's O2 in December 2007. "They hijacked that gig because it was supposed to be a tribute to [late Atlantic label boss] Ahmet Ertegun," says Bruce. "We [Cream] were going to be playing it: it was going to be at the Royal Albert Hall, with the Stones playing too, but they hijacked it and made it into a sort of Zeppelin gig. "Eric [Clapton] and I decided we didn't want to be a part of it. They moved it to the O2, and it had gone in the wrong direction for us as a tribute to Ahmet." "Obviously, there's a little bit of jealousy on my part with Zeppelin, more than a little bit. 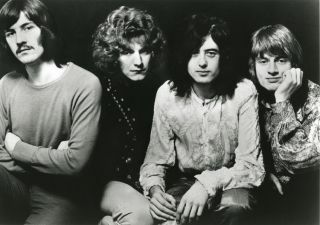 The audience was created by Cream and Jimi Hendrix, and Zeppelin came along and had a very easy ride. We were the pioneers, and pioneers often don't get the recognition they deserve. "And let's face it, Jimmy Page ain't no Eric Clapton… the only decent guy in that band is dead." Bruce laughs in the interview, adding "you know my sense of humour". Though MusicRadar does wonder why he's even starting this 'joke' feud now? Bruce is 65 years old.